I experimented with nut free crusts before when I made Chicken Fries. 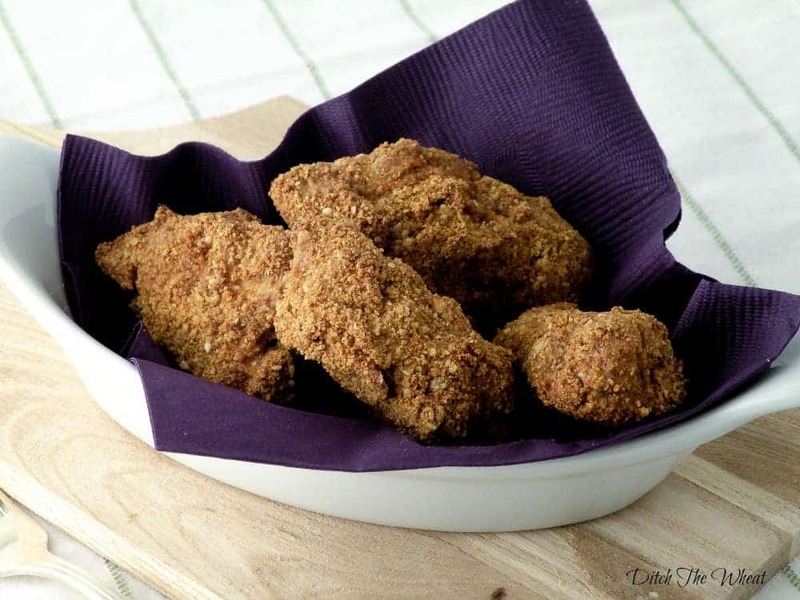 This recipe is using the same idea but for nut free chicken nuggets. 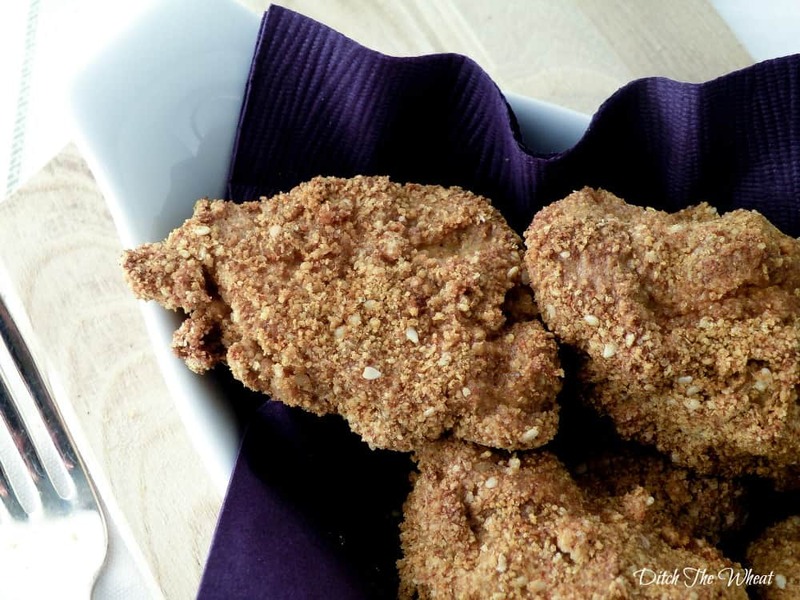 Sesame seeds are a great alternative to almond flour for a coating on chicken. They are cheap and grind up easily in a coffee grinder. They do have a slight funny taste to them on their own. I suggest always adding spice to them in a savory application. If you don’t need a nut free alternative then go ahead and swap the sesame flour for almond flour/meal. Mix the ground sesame seeds with cayenne, onion powder, garlic powder, paprika and salt. One at a time, dip a piece of chicken into the whisked egg, and then dip into the sesame flour mixture. *For a thick coating like in the picture, dip the chicken back into the egg and dip again in the sesame flour mixture. Place on a baking tray lined with parchment paper. Repeat for all pieces of the chicken. Bake for 20 minutes, turning once. The chicken nuggets are done when no pink juices flow from the meat.